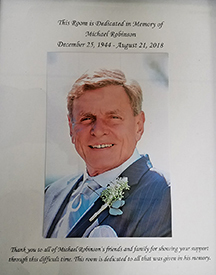 The Fairhaven Animal Shelter dedicated a room in memory of Michael Robinson after more than $6,000 was donated in his name by his friends and family. The shelter is using the money to make the building and grounds more wheelchair accessible. Submitted photo. The friends and family of Michael Robinson found a special way to remember him after he passed away last April. The response was so great that the shelter has dedicated a room to him. Mr. Cripps dedicated one of the cat rooms to Mr. Robinson. The donations, which are still coming in, have totaled more than $6,000 so far. Mr. Cripps said that they will use most of the funds to made the shelter more wheelchair accessible for visitors, and especially for volunteers. The shelter just installed a ramp so that volunteers in wheelchairs are able to get into the garage, where most of the supplies are kept. They will also extend the concrete in the back so people in wheelchairs can get around to open the dog kennels outside. The shelter’s gift account is used for a variety of items for the shelter and the animals, including food and other daily needs. 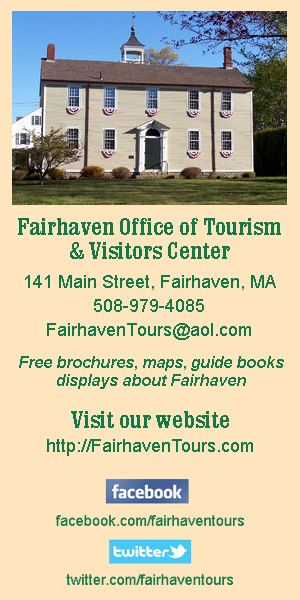 To donate, send check or MO to the Fairhaven Animal Shelter, 200 Bridge Street, Fairhaven, MA 02719. If you want to donate in his memory, put his name in the subject line.